After six decades of Chinese occupation, Beijing has failed to integrate Tibet into China. In order to outroot the civil society, China has ruled the region with an iron fist and denied journalists and human rights activists visits. Whilst the Tibetan diaspora is disappointed with the lack of international effort and Beijing’s overlooking of their calls for autonomy, it is imperative for the resistance movements of Tibet to campaign more vigorously in order to make the issue more salient. With the characteristic arrogance that aggressors are known to exhibit, Chinese premier Li Keqiang has said that Tibet is inseparable part of China’s “sacred” territory. It is not clear as to what the Chinese premier meant when he used the term sacred territory while referring to the present occupation of Tibet by China, though the fact and the ground reality is that China invaded Tibet, massacred large number of protesting Tibetans and which forced the revered leader the Dalai Lama to flee from Tibet along with his followers in 1959. While China has been occupying Tibet for over six decades now, it has not succeeded so far in integrating the Tibetans living in Tibet with mainstream China. 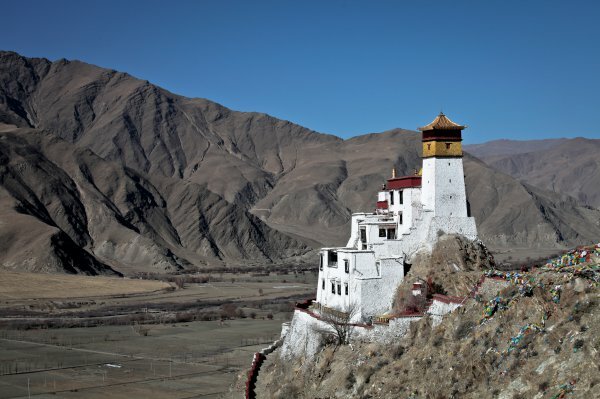 Under China’s occupation, Tibet continues to remain as isolated part of China. It is very well known that China is now controlling and administering Tibet with strong arm tactics and vice like grip, resulting in violation of human rights and suppression of freedom. To conceal its acts of human rights violation in Tibet to put down any liberation movement, China has been consistently denying permission to foreigners to visit Tibet and see the conditions for themselves. Chinese government has been routinely denying the request from journalists and human rights activists from across the world to visit Tibet. Recently, key Congressional committee in USA has unanimously passed a crucial bill on Tibet, under which Chinese officials responsible for discriminating against Americans who try to enter Tibet will be banned from entering US. The bill titled “The Reciprocal Access to Tibet Act”, seeking unhindered access to Tibetan areas to US officials, journalists and common citizens, something which is routinely denied by the Chinese government, now moves to the House of Representatives. The legislation is to ensure that Americans are given the same access to Tibet that Chinese citizens have to the US. It was passed by the House Judiciary Committee. This is a very significant move in USA that would bring to light China’s aggressive control of Tibet. While China’s aggression and occupation of Tibet is the fact and almost the entire world thinks that Tibet has been the victim of China’s expansionism and greed for territory, the world has largely remained silent on this issue without openly condemning China and extending support for the cause of Tibet’s freedom and liberty. United Nations Organisation, which is supposed to be the forum to ensure world peace and justice and echo the voice of countries which are the victims of aggression, has practically done nothing to support Tibet’s cause. UN has virtually ignored the Tibetan issue as if it is a non-issue. Even countries like USA and India have approved Chinese occupation of Tibet, leaving the Tibetans high and dry for all practical purposes. Tibetans in exile who are now spread in various countries around the world are thoroughly disappointed that the world remains unconcerned about the plight of Tibetans. They seem to be now wondering whether Tibet would become a liberated country at any time soon. The recent announcement of the Dalai Lama that he would welcome autonomy status for Tibet under overall Chinese government has sent confusing signal around the world, both among the Tibetans and friends and sympathisers of Tibet. While the Dalai Lama made this announcement, Chinese government has virtually ignored the Dalai Lama’s stand on acceptance of autonomy status for Tibet and has not reacted at all. In such circumstances, Tibetans should realize that any plea for autonomy status for Tibet would be a non-starter and such reconciliation to accept autonomy status would only help in diluting and diverting the cause of liberating Tibet from China’s occupation. While Tibetans in exile have formed a government in exile and has some symbolic structures like parliament etc., Tibet liberation movement is yet to make visible impact in world forums. The pre requisite is that the Tibetans need to recognize the fact that the movement is yet to gain the type of vigour, strength and force that will propel it to achieve the objective of retrieving the sacred land of Tibet. There is certainly an urgent need to put greater energy into the movement for liberation of Tibet from China and stronger campaign has to be carried out. While it is up to the Tibetans and their friends and supporters to carve out the methodology for putting greater vigour into their movement, there is no doubt that the world will support the Tibetan cause, if the world would be well informed about the injustice done to the Tibetans. Freedom for Tibet will come sooner or later but the sustained and determined efforts to inject greater vigour into the liberation movement is the greatest need of the day.